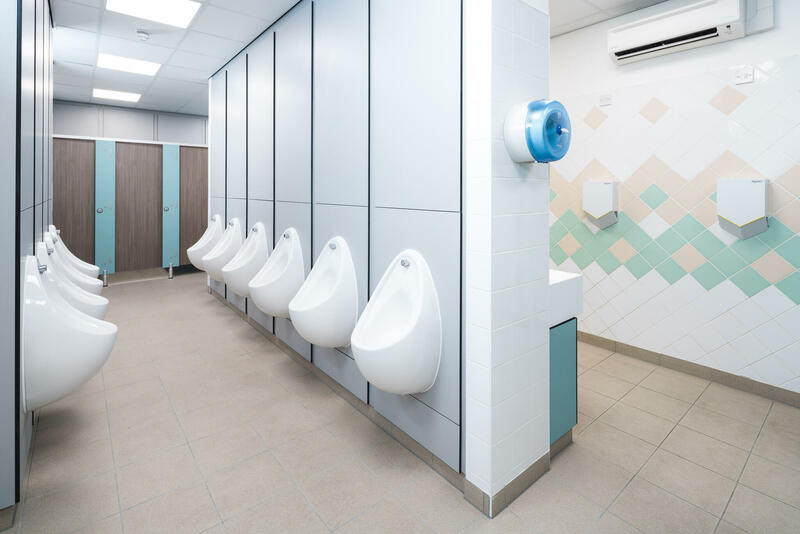 Brampton Manor Academy, in East Ham, approached Pinnacle Furniture to reconfigure four washrooms into two, one each for the male and female pupils, as well as the refurbishment of the staff washroom. Brampton Manor Academy is a successful and ‘outstanding’ rated School for 11 to 18 year olds. 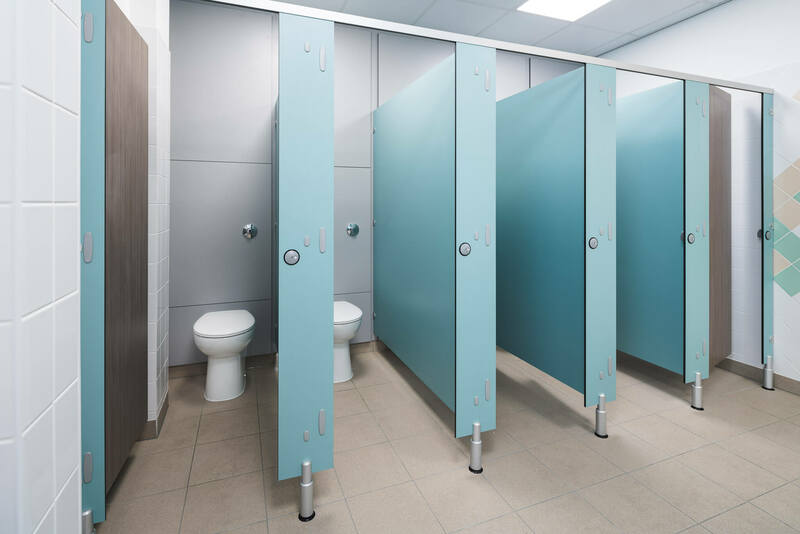 The School approached Pinnacle Furniture to refurbish some of their existing washrooms, reconfiguring four washrooms into two. 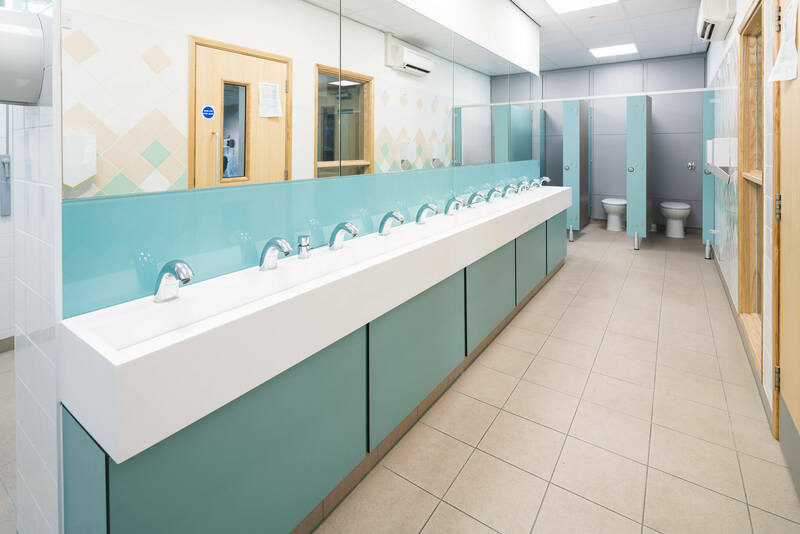 In addition, the brief included the refurbishment of a staff washroom with two cubicles. 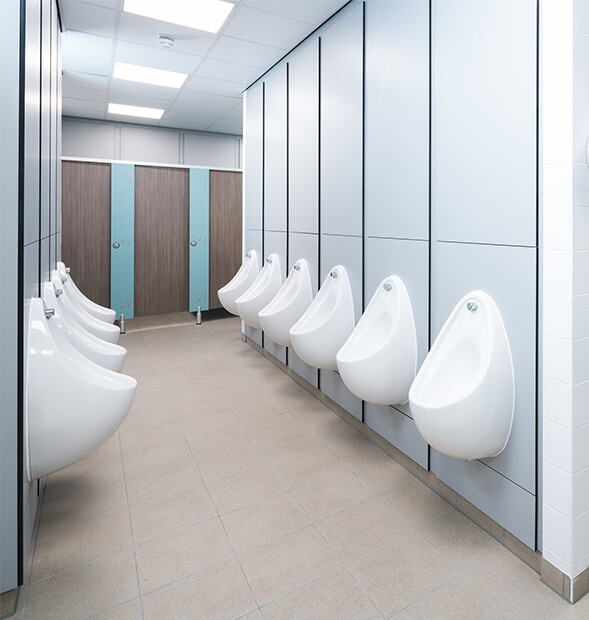 The School needed the project to be complete before the exam results were released, so we began the work in term time in order to meet the client’s deadline. 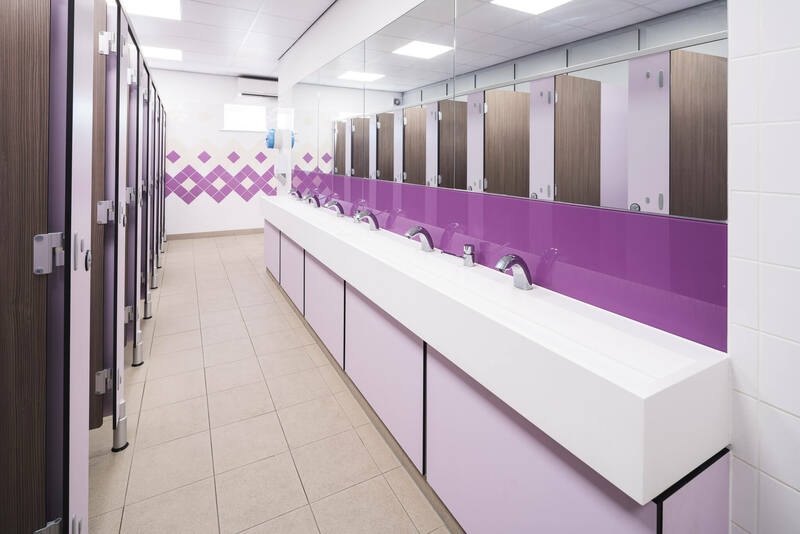 Our priority was to ensure that we caused minimal disruption to the pupils and staff at Brampton Manor Academy. 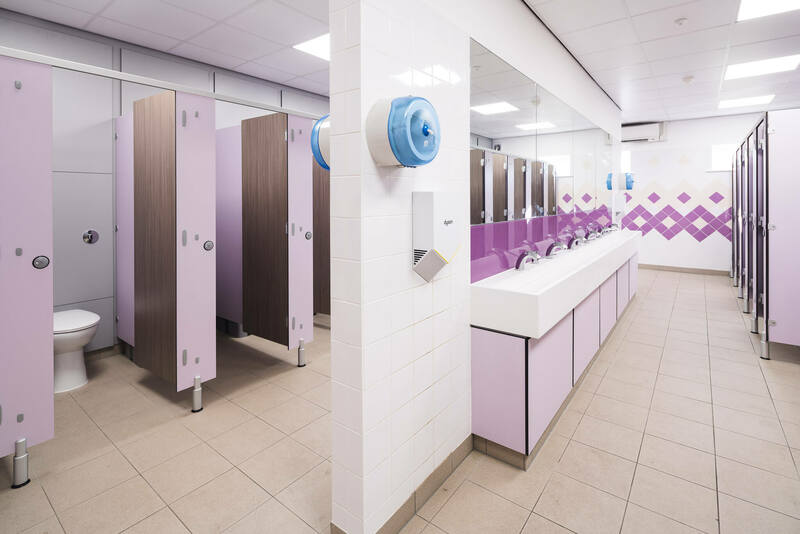 During the briefing process we provided the School with 3D visuals and product samples, so that they could see what the final result will look like. This reassured the School that Pinnacle understood their vision and the requirements. 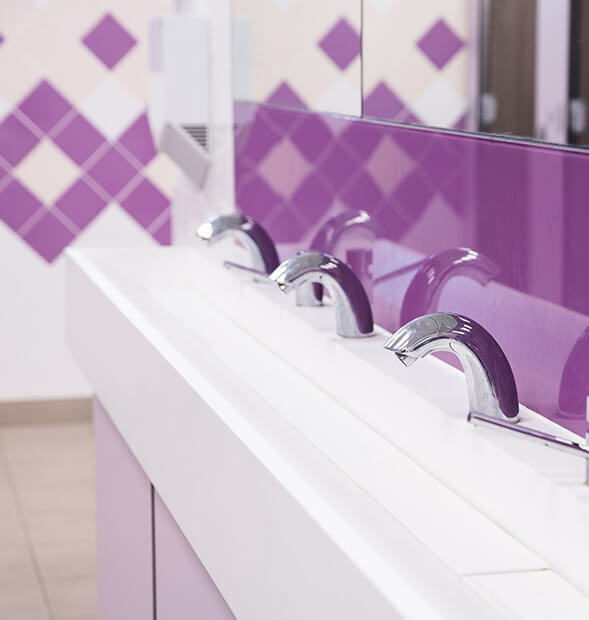 Our Design Team allocated lilac and jade colour schemes to each of the washrooms to give them their own identities. 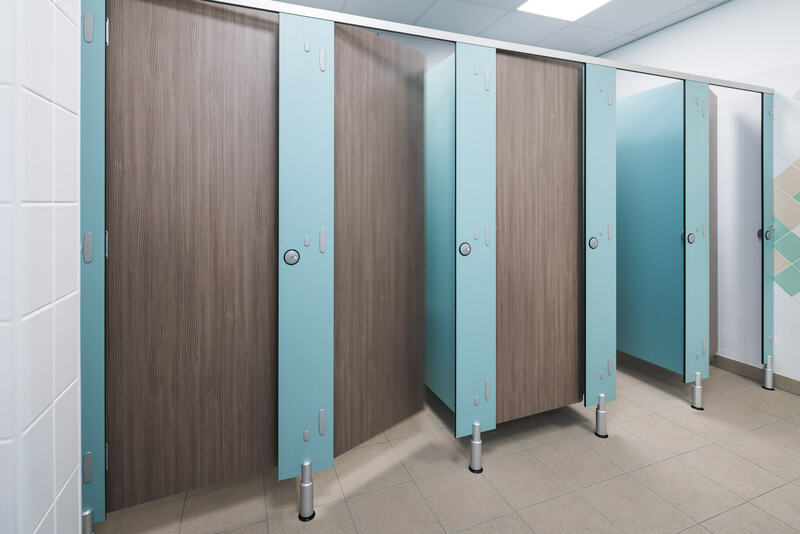 We installed solid grade laminate cubicles with the doors in a contrasting oak finish. 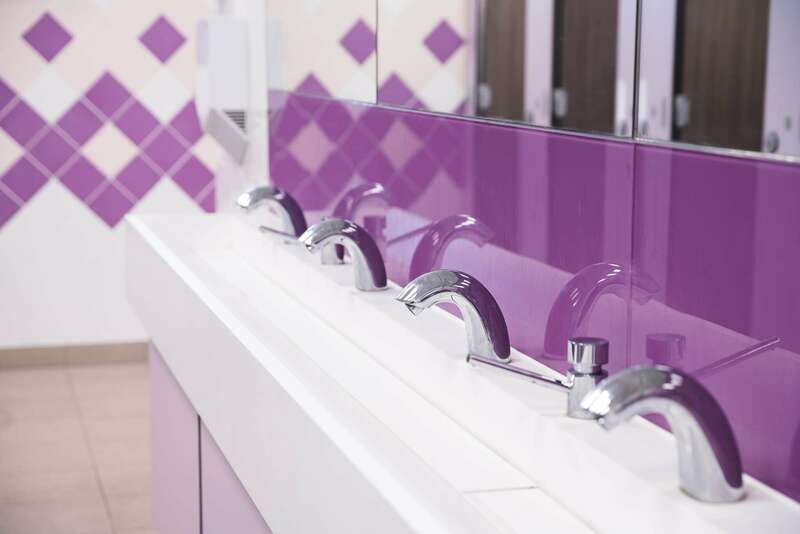 Pinnacle fitted Corian wash troughs with sensor taps for efficiency and painted glass splashbacks. Large bespoke mirrors were provided above the vanity units. 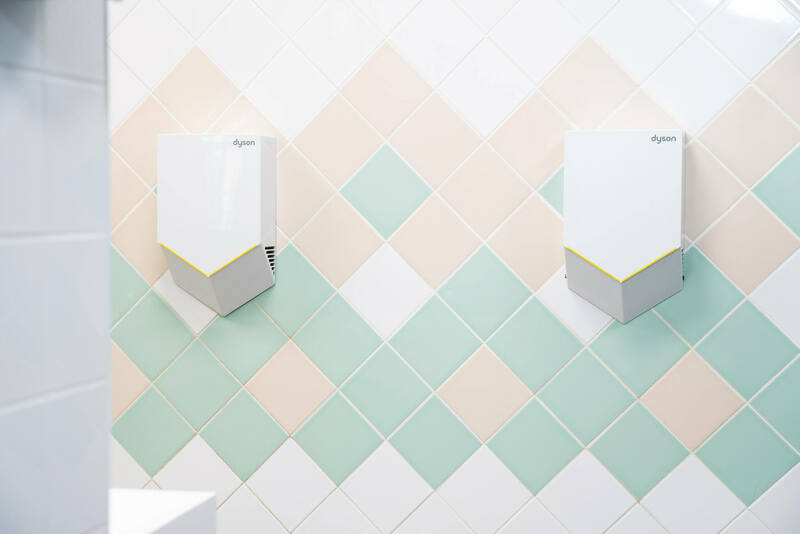 The Design Team created lilac and jade tiled feature walls to add some flair, along with new LED lighting and throughout each of the washrooms, Pinnacle fitted long-lasting porcelain floor tiles in cream.